Something I have learned a lot about in my Senior Seminar class (I can’t believe I’m a senior!!!) is ethics. 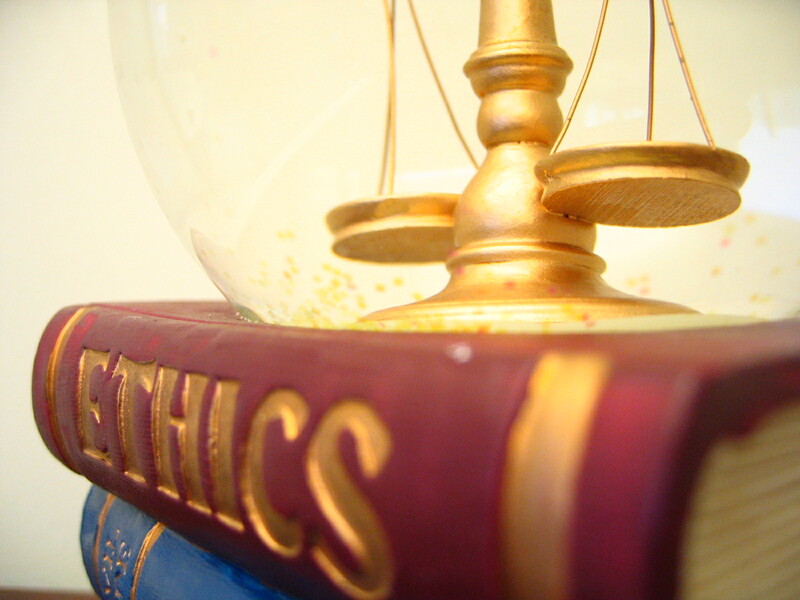 We have all probably heard about ethics a million times, but maybe not taking all of the information in. I think that ethics seems easy when you are reading or hearing about it, but in the actual situation and being a PR representative, it is really that black and white? In my opinion I would say no, although I have yet to be put in one of those positions at any job or internship I have held. Of course, those challenges come about in daily life, maybe just telling a friend if you really like her outfit or not. When is a white lie going to far? Is it okay to lie if the benefit overall is better? If doing the right thing is going to hurt a lot more people than it is going to help what should you do? What if the right thing hurts your client? These are all questions we will most likely face at some point and there is no clear answer in many situations about what to do. I would say with ethics most of us know right from wrong. I think that more times than not it is important to not only people in the PR industry, but professionals in general to shed light on the truth as much as possible. There are absolutely times when there are circumstances that question our judgment and that of others. Sometimes you have to be the bigger person and do what is honest and beneficial to the public. I think it is our responsibility to use our best ethics judgment and not out way the pros and cons but think about what is right for everyone. Just because something is not against the law, does not mean it is ethical (an important point to keep in mind).